Can I join the club too? 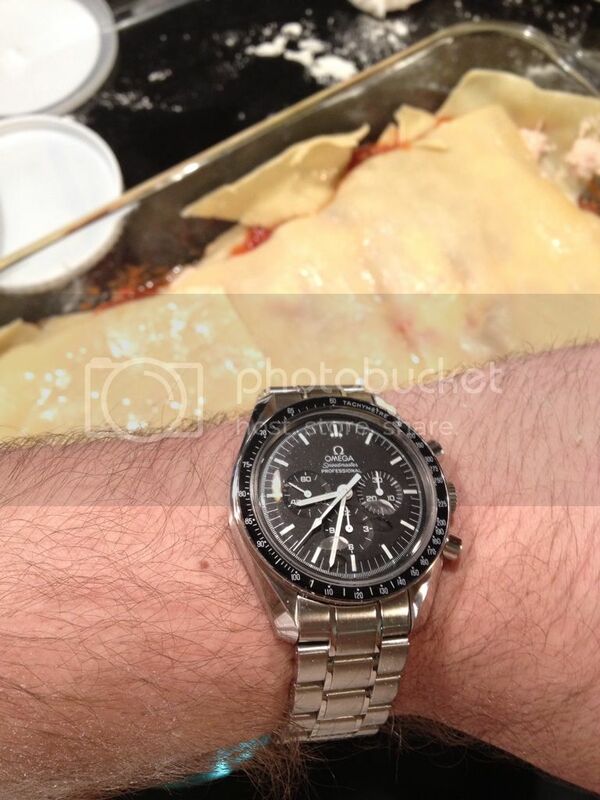 I love my speedy and it hasn't been off my wrist since I got it. Can't wait to try on some new straps.....Cheers. Well i've finally able to convince my wife and save to buy my first speedypro 3576.50.00. Could anyone kindly recommend me an AD i can buy one from. PM me if that easier. Mods, if this post belongs somewhere else. my apologies for that that. Action shot making lasagna with my $4500 pasta timer. symplectic, garydusa, Fullers1845 and 1 others like this. You must be a spaceman! LOL! Good thing you had that hour handle overshoot issue sorted so that your pasta doesn't get overcooked! Couldn't be happier with my first Omega. May I become a member of the club and receive my badge? Last edited by joins; February 20th, 2013 at 13:53. Is that lasagna within COSC specs? You would think so but I'm actually terrified of heights! I used to not give a crap about box or papers since the watch was the only thing going on my wrist. Then I started reading WUS and panicked about where all my boxes and papers went. Now I don't have to worry about resale value as my watches are all pristine. And I even have all the little hang tags! Edit: I don't even know why I care, I'm never going to sell anything anyway! Last edited by MellyVinelli; February 22nd, 2013 at 19:14.